Value-based pricing: How can it boost your freelance business? Valuing your services on the basis of your skills, knowledge, and experience—as opposed to hourly rates for a task—gives your freelance business a lot more income potential than blindly following rate sheets. It’s not a calculation you can make in isolation, however. A value-based pricing approach requires looking at the situation from the client’s perspective: What can they expect from their investment if they hire you? Actual Value: This is simple math. 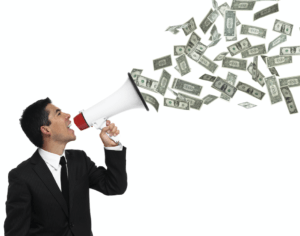 How are you making money for your freelance client? Take, for example, a lawyer who charges his clients $300 an hour. How much more money can he make by using you as a writer, editor, or designer instead of doing those tasks himself? Even if your project rates are based on a calculation of $150 an hour, he’s enjoying a 50-percent-off sale. Other common examples farther down the price scale would be publishers, web designers, ad agencies, marketing firms, etc. Like the lawyer, they are repackaging your services at a markup to their own clients. What’s their return on investment if they hire you? Perceived Value: This one is a little trickier, because there’s a psychological component. Say a financial advisor wrote a book, one chapter per plane trip over the past year, and wants you to edit it. She isn’t too worried about direct return on investment from selling books on Amazon, because she views her books as an upscale business card to give to prospective clients. So, in this case, it’s more of a matter of an image to uphold—with the potential, but not a guarantee, of a big piece of business. Other situations that might fall under the perceived value umbrella would be startup companies that aren’t yet profitable, or wealthy clients who are doing something for personal fulfillment rather than income. So: Which type do you think is more important when coming up with a value-based price, actual or perceived? OK, that’s kind of a trick question. It doesn’t matter. I have long-term clients in both camps. Ideally, you are moving people from perceived into actual value. In other words, they may have bought you based on what they thought they were going to get, and you deliver actual results that make them money. If the financial advisor’s book causes someone to move their stock portfolio to her firm, you can guess who she’s going to choose to edit her next book. Remember: Your freelance price isn’t just what you’re taking in from a project. It’s also a signal to the market of what your value is to someone’s business. What would a lawyer think if your rate was $30 an hour, 10 percent of what he charges his own clients? What would the financial planner think if you placed a cheap price on your skills, talents, and experience, when she wants to woo someone with a $500,000 retirement portfolio? Value-based pricing doesn’t occur in a vacuum, and the answer can’t be found on any rate sheet I’ve ever seen. Understanding your client’s actual or perceived wants and needs will serve as a much more accurate guide for a value-based approach. You know, Anne Wayman once told me that if I raised my rates, the clients would follow. The minute I did, I saw how right she was. 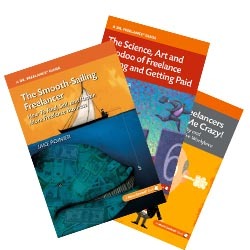 I was suddenly earning double what I’d been earning and the clients were no longer hitting me with ridiculous requirements, payment hassles, or questions of my skills in order to avoid paying the invoice. And they were more than okay with my new rate, which meant I was quickly able to increase it even further. The yin-yang of the actual value to perceived value is so important, I think. The actual value you set (and I don’t believe any assertion that the market determines my rate — that was argued ad nauseum in a forum not long ago) tells clients a lot about both your skills and your status. In my little world of insurance geekiness, I’m sought after because of my specialty. Before I raised the rates, that wasn’t the case. The minute I got serious about charging, they got serious about what I could bring to their projects. With perceived value, I’ve seen a few too many cases where it’s actually worked for people for whom it shouldn’t have. I know one case in particular where the person had less than a year of experience but had positioned herself as THE expert, and having bought a popular blog, made it happen despite that lack of experience. I’ve seen marketing that’s clearly setting a perceived value without any actual value being there. However, I’ve also see the flip side — the perceived value built to enhance a brand or a company. That’s market saturation I can get on board with! Personally, my perceived value and actual value are aligned pretty well right now. I target a client pool that’s more likely to know what I’m offering and have a need for it. I stay in front of them on social media and at a trade show. They associate me with their industry — that’s a perception that goes miles.